From $139 To $2,390 - Which Speaker Will You Choose? From $139 To $2,390 - Which Speaker Will You Choose To Jazz Up Your Space? Honestly speaking, I wouldn’t call myself an audiophile — I’ve never really been able to discern the finer points of audio technology, and anything above a pair of $3 earphones that you find at those cube rental stores is usually good enough for me. As someone whose job revolves around tech, those kinds of standards are downright blasphemous, and so I’ve made it my mission to educate myself on it. Over the past few weeks, I’ve been using two bluetooth speakers at each end of the price spectrum to see if the (supposed) difference in quality would teach me a thing or two, and here’s what I’ve learned. Okay, so we’re not exactly at the absolute end of the price spectrum — at S$139 the Muzen Audio OTR Metal is far from the cheapest bluetooth speaker on the market, but I had to pick something a little more powerful considering what it was going up against. 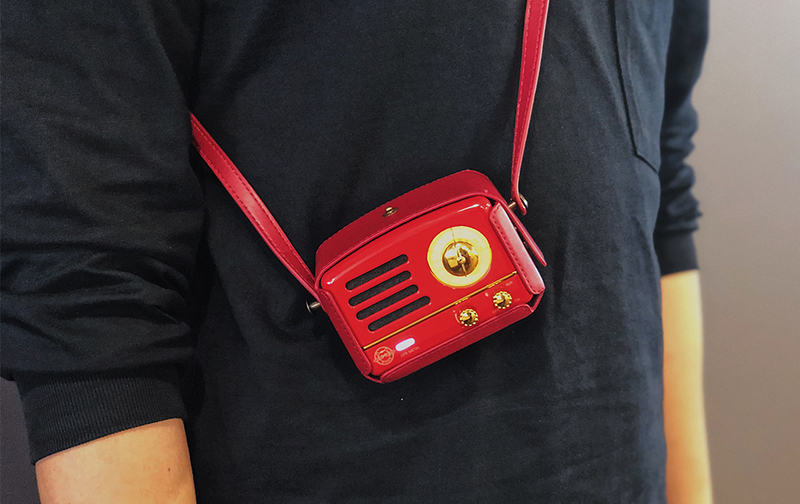 The first thing you’ll probably notice about the OTR Metal is just how stylish and well-built it is — it’s designed to look like a retro radio for that always-in-style, #throwback aesthetic, and with a weight of 440g, it feels both sturdy and portable at the same time. 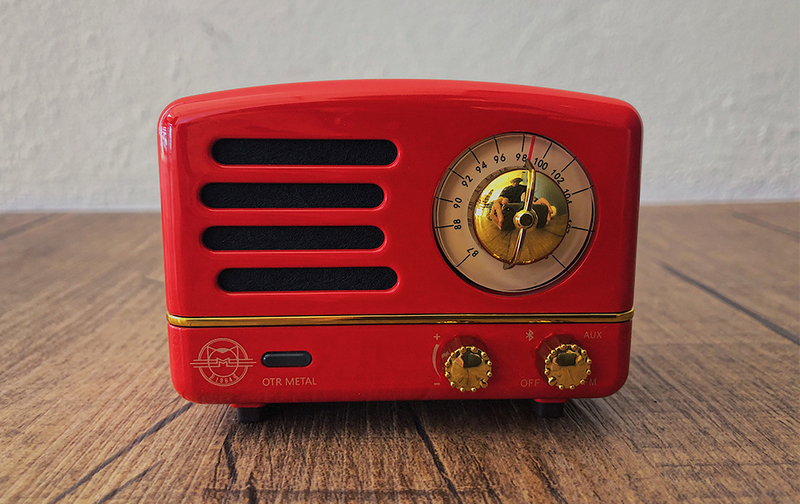 The OTR Metal doesn’t just look like a radio either — there’s a knob that actually allows you to tune in to radio stations, just like you would on a 90’s hi-fi (pretty much any smartphone can do the same, but there’s something oddly satisfying about doing it manually). There’s a negligible, yet noticeable amount of static no matter how precisely I tried to tune it, but it does add to the old school charm. Of course, the OTR Metal still has all the functions as a modern speaker — connecting it via bluetooth is as easy as turning its knob to the appropriate setting and pairing it to a device, or you can opt for a wired connection with the provided Micro USB to 3.5mm cable too. On the sound quality side of things, the OTR Metal is surprisingly robust for a speaker of its size. Despite its measurements (88x61x49mm, which is about the size of my fist) it easily filled the office at full volume, and produced an above-average level of clarity as well. The bass leaves something to be desired, though. I’ve used a lot of portable bluetooth speakers in my life, but the OTR Metal is probably the best one so far. Stylish and sturdy with the audio quality to back it up, it strikes the perfect balance of style and substance. 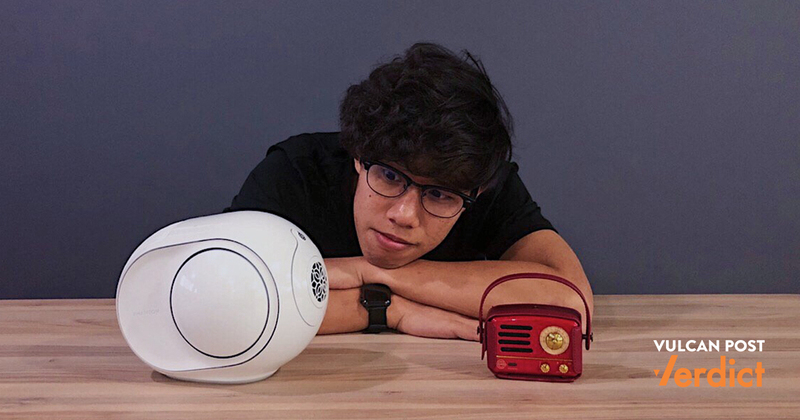 If you’ve walked past Devialet’s physical stores in ION Orchard or Marina Bay Sands before, the unique design of their Phantom bluetooth speakers might have left an impression — their egg-shaped construction is nothing like your typical audio fare, and ornate detailing makes it look like a piece of modern art. 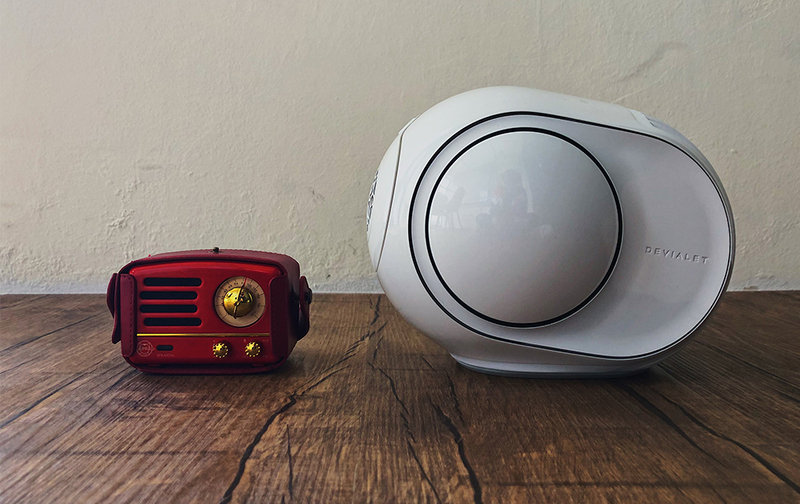 Of its various models, the Phantom Reactor 900 that I managed to get my hands on is the French audio brand’s smallest speaker, measuring four times smaller their original Phantom. Its compact size is a perfect fit for a nightstand or office table, and a hefty weight of 4.3kg still makes it feel like a premium product. 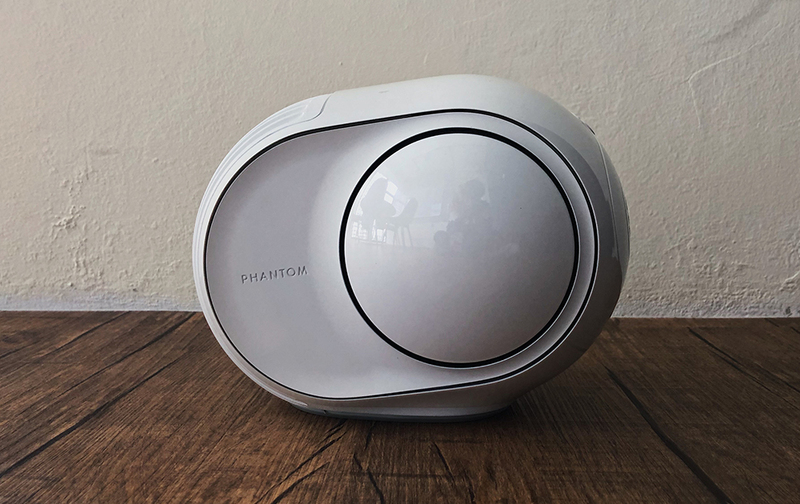 Setting up the Phantom Reactor 900 is as foolproof as setting up a speaker can get — after plugging it into a power socket and waiting for it to set up, connect it to a device via bluetooth and you’re pretty much good to go. The onboard controls are an equally simple affair, only featuring controls for bluetooth, playback, and volume (there’s also a “link” button, but you won’t use it outside the initial setup). Of course all that fancy design wouldn’t matter if the audio isn’t good, but thankfully the Phantom Reactor 900 delivers on that front as well. 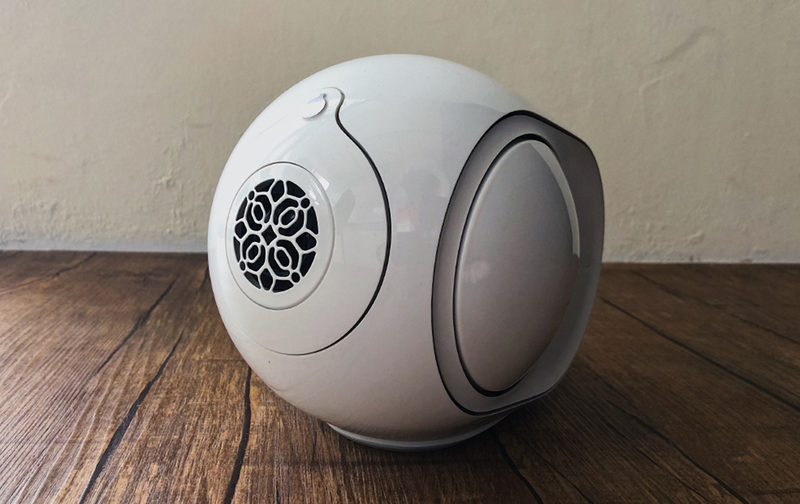 The speaker produces loud, crystal clear audio, accompanied by a chest-thumping bass (the sides literally vibrate, for God’s sake) that’ll make you feel like you just got transported to a club. There’s a stadium-esque quality to the sound as well, which really adds to the immersion factor. While the Phantom Reactor 900 handles pretty much all genres well, listening to a live version of Bohemian Rhapsody was a particularly chilling experience, and for the first time in my life, I finally knew what “good” audio quality sounded like. This kind of life-changing audio quality, however, comes at a very, very steep price — at S$2,390 the Phantom Reactor 900 is only available to the highest of SES’s (or low SES’s with no regard for personal savings). Those looking for a slightly cheaper option can opt for the S$1,890 Phantom Reactor 600, which boasts the same form factor but delivers a lower maximum volume of 95db instead of the 900’s 98db. After trying both ends of the speaker spectrum, I have to say that both are more than capable of scratching that audio itch — the OTR Metal is a well-built and decent-sounding portable speaker for its price, while the Phantom Reactor 900 offers a next-level audio experience if you’re willing to fork out the cash. But then there’s the question of diminishing returns. For a product that’s 17 times more expensive, the Phantom 900 is obviously better than the OTR Metal — but is it 17 times better? It’s a question whose answer will vary from person to person, and it really boils down to how much you value audio quality. On a totally unrelated note, does anyone know where I can get a loan for $2,390?